FANTASTIC LOCATION SO CLOSE TO FAMOUS HISTORIC DOWNTOWN WINTER GARDEN. 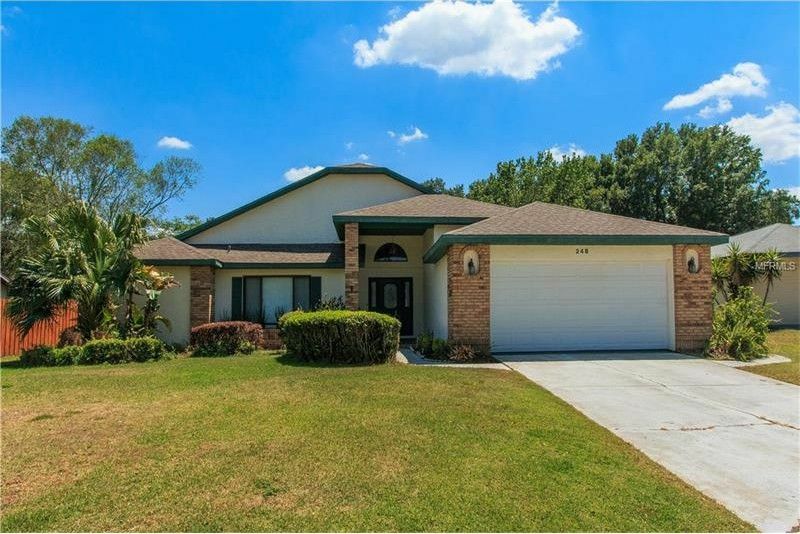 THIS 4 BEDROOM/3 BATH HOME HAS DOUBLE MASTERS- ONE LARGE MASTER BEDROOM AND ONE LARGE ROOM THAT WAS ONCE A MASTER BEDROOM!, AND ALSO CARRIES A 4TH ROOM THAT COULD BE BABY'S BASSINET ROOM, BEDROOM #4, OR AN OFFICE, AS CLOSET IS PRESENT IN THIS LOVELY ROOM OPTION. NEW ITEMS ON THIS HOME INCLUDE: BRAND NEW A/C SYSTEM--HANDLER & CONDENSOR 2016, NEW KITCHEN CABINETS, BACKSPLASH, GRANITE COUNTERTOPS, & NEWER APPLIANCES 2016 IN THIS ISLAND CHEF'S KITCHEN! NEW WATER HEATER 2017. ISLAND KITCHEN IS OPEN & FACES A TALL AND LOVELY BRICK WOOD BURNING FIREPLACE MAKING FAMILY CHAT EASY AND CONVENIENT WHILE COOKING! LOVELY SIZABLE FENCED IN BACK YARD FOR "FIDO" WITH MATURE CITRUS AND VEGETABLE TREES, & LAKEVIEW MIDDLE SCHOOL IS DIRECTLY ACROSS THE STREET FROM "THE HARBOR", SO MIDDLE SCHOOLERS COULD WALK TO SCHOOL WITH SAFETY & EASE! SPEAKING OF LOCATION, FAMOUS AND PUBLISHED "HISTORIC DOWNTOWN WINTER GARDEN", ONCE A FAMOUS SNOWBIRD RETREAT, IS LESS THAN A MILE AWAY FROM THIS REMARKABLE HOME, & INCLUDES BOUTIQUE SHOPPING & EXCITING DINING SUCH AS: MOONCRICKET CAFE, THAI BLOSSOM RESTAURANT, WINTER GARDEN PIZZA COMPANY, URBAN FLATS BISTRO, TO NAME A FEW, & THE NEW AND UPCOMING "THE WHOLE ENCHILADA"-A FRESH-MEX CANTINA/BAR WITH UNDER THE STARS STRAND LIT ROOFTOP DINING! WOW! DON'T LET THIS CUL-DE-SAC QUIET LOCATION GET AWAY FROM YOU, AS BEING SO CLOSE TO ALL OF THESE AMENITIES, SCHOOLS, HOUSES OF WORSHIP, YET SECLUDED AWAY, IT COULD DISAPPEAR SOON!